Recap of the Winter 2015 tour and a look at what's next! January 6 @ The Willow Tree in Johnson City, TN - "Shared Pieces"
6. Played on the radio! 7. Raised enough funds to buy a keyboard! We went to Indianapolis at the beginning of March to visit friends, play a show, and visit Indy for the first time. We were a little late because 1. I didn't realize Indy is eastern, not central time and 2. traffffffffic in KY slowed us down. Thanks to the incredible hospitality of the Foundry's manager, she sent out a message to the world to push it back in time for us to arrive and what awaited us was a remarkably warm and inviting crowd ready to listen. Such a blessing. The show was without a PA, so it I was literally two feet away from some listeners and it was awesome. We ven got to share a couple songs and stories at a community group our friends are in as an improv house concert (sorta) and it was also very sweetly received. We really hope to return to Indy soon. Just last night (first day of Spring) we played a show back home for a smallish but sweet crowd with an atmosphere much sought after. Very receptive crowd and much graciousness from the dwellers of the Wesley House. We also had Chris on board with drums and it was probably the most lively sound the band has ever had. Very grateful. The next couple months are going to be put on hold as far as traveling as I am finishing up my undergraduate degree in Art and will be graduating this summer! It's an exciting step in the lives of the Wadleys. Until then, shows will be scarce, but if/when they happen, stay posted! Definitely looking forward to moving on from school to more fully pursue this dream and see where it takes us. Thank you all for your wonderful support throughout this season. Keep it real and we'll see you soon! Remember, remastered version of "The Listening Room" coming real soon! If you have a show you want me to play or be a part of, please contact me! 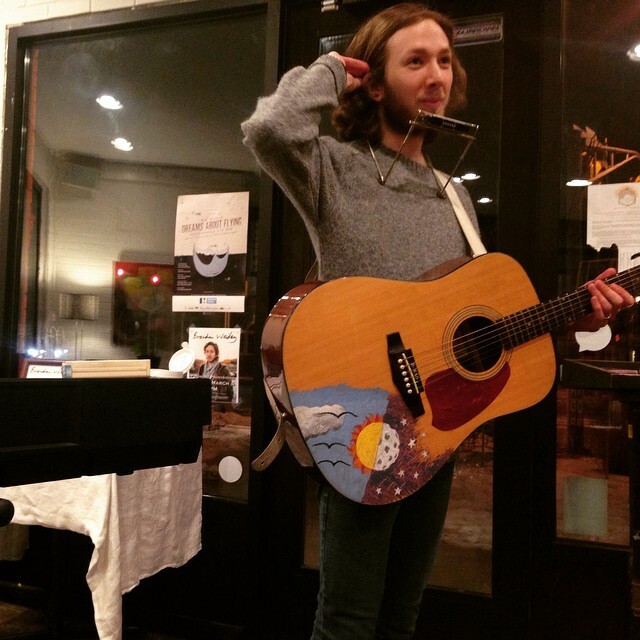 Last night was the final show of the Winter 2015 tour, at the ETSU Wesley Foundation in Johnson City. Our setup was all out, with Chris on drums, Katie on vocals, our lovely banner (if I don't say so myself), and all the instruments! The space was beautiful and the room had many listening ears. There was a real power in the room of giving and receiving that is rare but awesome when it does happen. It was great. Huge thanks to John and Chris at the Wesley and for everyone else involved. As for the following months, we have absolutely no shows planned. There may be a surprise one here and there, but until the summer, I'll be focusing on my final semester at ETSU and will be looking toward graduation and final art projects. Good news is that I'll be receiving the mixes for the remastering of "The Listening Room" in about a week, where the tracks will go through some tweaking and will hopefully be released on bandcamp within the next month! Super exciting! Stoked to move on. 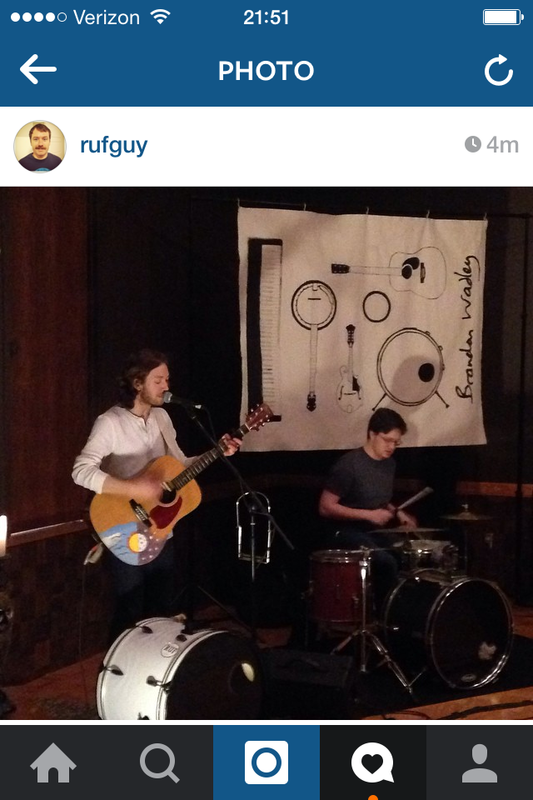 March 6, 2015 @ Foundry Provisions in Indianapolis, Indiana & other updates! This past Friday, March 6, Katie and I arrived at Foundry Provisions, a coffee shop in Indianapolis, IN 1.5 hours late. The traffic in KY along with me thinking Indy was in central time left me in despair until I heard a voice over the phone from The Foundry's owner, Kimmie, who pushed back the show's time a bit just for our convenience. It was super cold out, but super warm inside. Our friends Heidi and Phil hosted us for the weekend and then some, welcomed us into their home church of Redeemer, showed us around the art community, and introduced us to some truly wonderful people all while attending school and going to work. Hugely thankful for them. Sunday night, we attended a Redeemer community group where Phil, a guy named Aaron, and I had privilege to lead music. I even got to share a couple songs of my own per request and it just about made up for the house show we had to cancel. A truly beautiful weekend. This coming Friday, March 20, I'm playing the final show of my Winter 2015 tour at the ETSU Wesley Foundation in Johnson City, TN. Show begins at 7PM and is an effort to unite all groups on campus, ministries, clubs, and everyone alike. It's free! Since we've been back in JC, I've been writing a few songs. It has been after several months of nothing, so I'm just getting back into the swing of it. Dry spells are freaky, but I think I may see this one coming to a close.